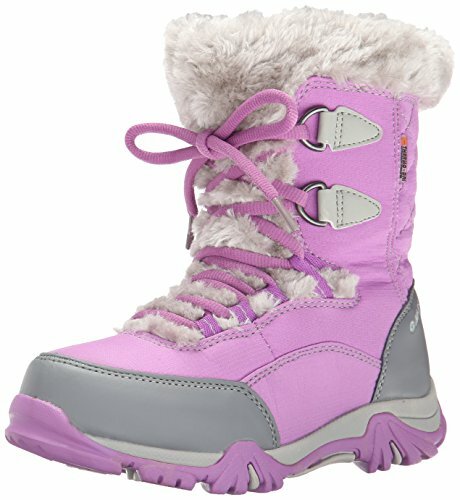 Features faux fur fleece lining and 200g Thinsulateâ"¢ insulation to trap heat that keeps your feet warm and comfortable. Thermo-DriÂ® waterproof insulated construction. Ghillie lace-up system with sturdy D-Ring metal hardware keeps your foot snug and secure. Molded EVA footbed provides superior underfoot cushioning for all-day comfort. Steel shank provides reliable support and stability. Compression-molded EVA midsole delivers excellent shock absorption, reducing strain on the body. Multi-Directional Traction (MDT) rugged rubber outsole improves grip and provides durability.